This is a show not to be missed and tickets are already selling fast!! Those who already know Us Two will need no convincing. Those who do not know them will be thrilled to discover this incredible group!! Originally from the city of Cordoba, Veracruz, Mexico. He began his artistic journey at a young age as a participant in choirs. He studied at the Conservatory of Music in the city of Querétaro and later was part of majors bands in Mexico, the United States and Canada. The diversity of these bands has allowed him to develop a versatility of many musical genres. 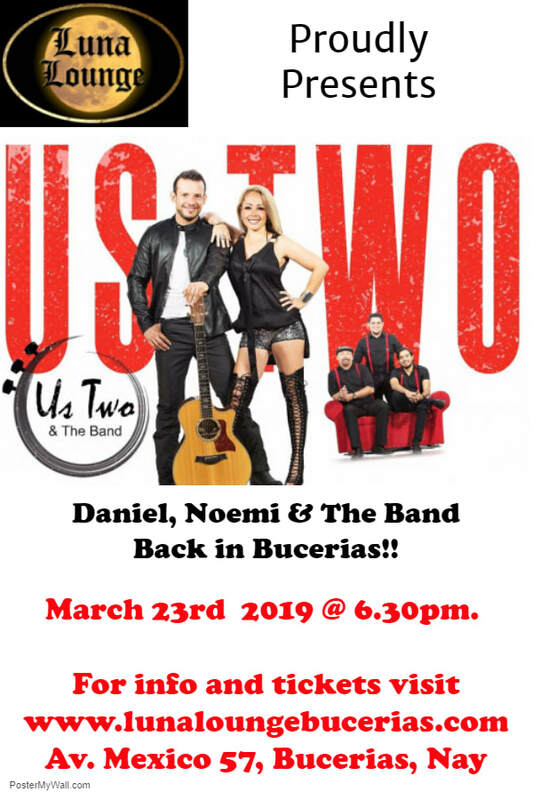 In 2012 he moved to Puerto Vallarta, Jalisco where he joined with Noemi to meld their incredible talents into forming; “Us Two”. We begin seating and service at 6:30 pm so please be here by then. Meal selections are made at your table prior to service. Please advise of allergies or dietary requirements on your booking form.